Puli Movie’s Audio Launch was held on August 2nd. T.Rajendran was one of the main guests in the Audio Launch. He drove the crowd crazy with his speech during the launch. His speech got millions of hits in Youtube. This speech got a very large impact on Social Media. 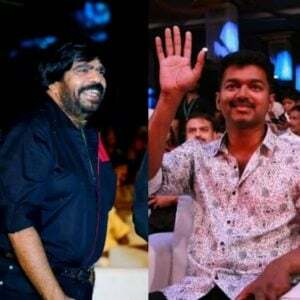 He also said that S.A.Chandrasekar was like his elder brother and S.A.Chandrasekar was trying to tune and bring up Simbu the same way he brought up Illayathalapathy Vijay. Suddenly T.R got into to his full form and started his Rhyming and Punches. He took it to a Level that Vijay himself got up from his seat and thanked him during this Performance. This response from Vijay couldn’t stop T.R, He kept on praising Vijay for his Generous Support in recent Vaalu release issue. “Despite knowing that Simbu is another actor’s fan, Vijay helped for Vaalu. 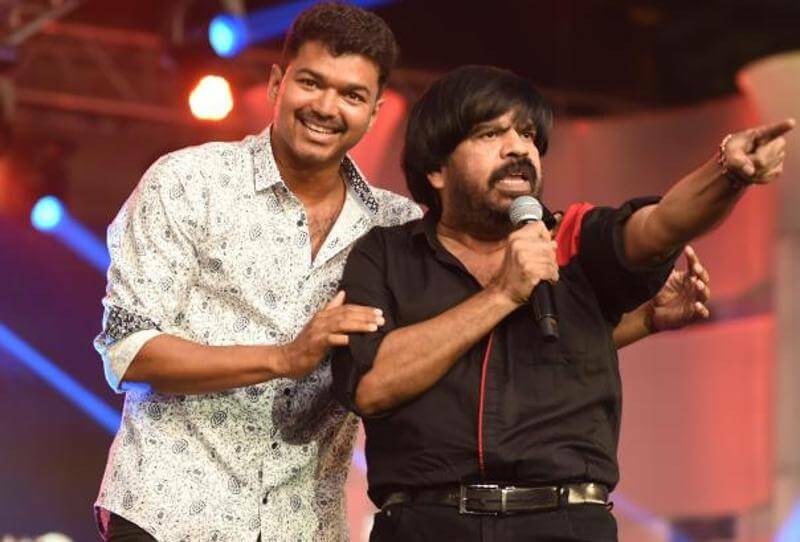 There is also a tribute to that actor in a song in Vaalu, but still Vijay helped graciously”, said T.R. denoting that Simbu is actually a Ajith Fan and Vijay helped him even after knowing it. Hearing this the Crowd freaked out Roaring with Claps and showing Support. Vijay then instantly went on to the Stage, hugged him and honored him. The way his speech was, the other’s speech following him were sounding low-profile.